Are you are traveling to or from Portsmouth Port. 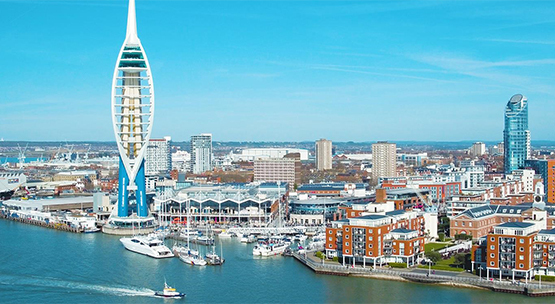 You are on Right the page of Britannia Airport Cars, The Most reliable Minicab and Private Hire who is covering Portsmouth International Port. Find our service in our online platform and book one. The rest will be taken care of by our excellent support team. Enjoy the ride with a well-trained driver and a world-class vehicle. While Booking the Service please specify The Ship Name and Terminal Name at the End of Booking and our driver will Greet you at Meeting Point with your Name Board, Going to London for a business trip? If your Cruise/Ship is arriving at Portsmouth International Port & you haven’t decided about how you will take a tour of London, what will you do? Well, you can change the taxi and buses many times, but we have another option which can be easier, comfortable and affordable too. Britannia Airport Cars can help you in booking the right Minicab for your trip as per your requirements. You can book Minicabs for Portsmouth International Port Transfers, our Minicabs will not only help you in seeing London only, but the drivers will also provide you with some information about the different places of London. You can handle your meeting before your leaving time and can choose the routes according to your business purpose. The best driver should have some things like punctuality, conversation skills and the most important is secure driving knowledge. As we know that best driver can help you in having a comfortable and entertaining journey & can make your trip much better. You can now book Minicabs with such professional drivers who entertain people by music system, entertaining communication and so on. They are polite in nature and dedicated to customers. ü 24x7 services for 365 days in a year. ü Punctual drivers who will be available before your Ship Arrival. ü No Hidden charge (Transparent Services). ü Airport to Seaport Transfer and Seaport to Airport Transfer Facilities also available. ü Minicab is available at all Seaports of London. ü Quick services by a single call or a visit on the website. ü Easy to book any Minicab suitable for you. ü Comfortable trips in accordance with the price range. ü 4 hours, 8 hours and 12 hours trip package according to your requirements.